A relaxed environment to enjoy a coffee and a light bite or a delicious afternoon tea by day, whilst transforming into one of the area's liveliest destination bars by night, with cocktails and bubbles. Relax in the Brabazon Bar with friends and experience traditional Tapas dishes from our new menu. With hot and cold Tapas plates available, choose from stuffed piquillo peppers & jalapenos, salt & pepper crispy quid, sautéed chorizo with red wine and more. Served daily from 6pm-10pm. Introducing our brand-new Signature cocktail - the Belfry Blueberry Mojito! It's refreshing, fruity and full of flavour... the perfect addition to our Brabazon Bar menu, just as the warmer weather has started to arrive! Ask at the bar to give it a try. Our delightful afternoon tea provides a range of finger sandwiches, home-made malt loaf and home-baked scones, accompanied by tea breads, sweet pastries and a selection of fresh leaf tea or coffee for just £24.95 per person Monday-Thursday or £28.50 per person Friday-Sunday. Afternoon Tea is served daily from 12pm-4pm. Bookings must be made at least 24 hours in advance. £10 per person deposit is required at booking stage and is non-refundable/non-transferable if cancelled. We are delighted to have won the Diners' Choice Award for our Afternoon Tea in the 'Hot Spot' and 'Most Vibrant Bar Scene' categories. Thank you to our OpenTable diners for selecting us! Spend the weekend in style at The Brabazon Bar with great offers on fizz every Friday and Sunday! Bubbles at The Belfry takes place from 5-7pm every Friday and 12-6pm every Sunday. 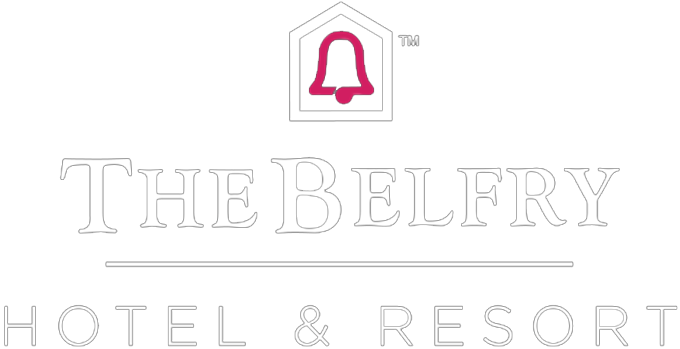 You can also enjoy Belfry Bubbles at The Ryder Grill from 7-9pm every Friday and 12-6pm every Sunday! Adding to the popular 'Bubbles at The Belfry', our Live Lounge Nights take place every Friday featuring live band Apollo Soul, making The Brabazon Bar the perfect destination for a night out. Private areas are available at £125 minimum spend (max party of 8) or table reservations available at a minimum spend of £20 per guest. Please note: Set timings may vary. Management reserves the right to cancel the event. Choose from either a Cocktail Masterclass or a Whisky Masterclass. The perfect activity for birthdays, stag and hen parties, team building and any other occasion. Sessions last for one hour and include a masterclass pack along with the chance to make a variety of delicious cocktails or taste some unique whisky for just £50 per person! Please call 01675 238 600 to book.